In Marseille, only those who can prove they will leave, may remain. Visas for possible host countries, transit visas, and those scarce tickets for passage by ship are much needed. Georg has memorized Weidel’s papers and assumes his identity. He delves into the quasi-existence of flight: refugee chatter in the corridors of a small hotel, the consulates, cafés and bars that line the harbor... He befriends Driss, the son of his comrade Heinz, who died on the run. Why move on at all? Are new beginnings possible elsewhere anyway? Everything changes when Georg falls in love with the mysterious Marie. Is it devotion or calculation that has led her to share her life with a doctor, Richard, before journeying on in search of her husband? He’s said to have surfaced in Marseille in possession of a Mexican visa for him and his wife. Making use of the uncanny parallels between historical fact and present-day Marseille, Christian Petzold's TRANSIT tells the story of a nearly impossible great love amid escape, exile and a longing for a place one can call home. Based on the 1942 novel by Anna Seghers. 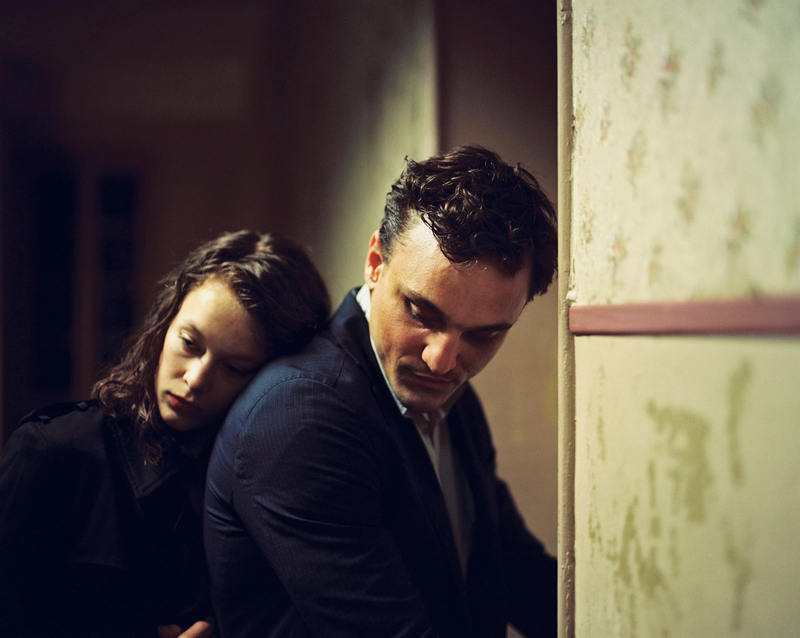 Christian Petzold was born in Hilden in 1960 and has lived in Berlin since 1981. He studied German Language and Literature before studying at the German Film and Television Academy Berlin (DFFB) from 1988 to 1994. His highly-acclaimed films include: PILOTINNEN (1995), CUBA LIBRE (1996), DIE BLEISCHLAFDIEBIN (1998), THE STATE I AM IN (DIE INNERE SICHERHEIT, 2000), SOMETHING TO REMIND ME (TOTER MANN, 2001), WOLFSBURG (2002), GHOSTS (GESPENSTER, 2004), YELLA (2006), JERICHOW (2008), DREILEBEN - BEATS BEING DEAD (DREILEBEN - ETWAS BESSERES ALS DEN TOD, 2011), BARBARA (2012), PHOENIX (2014), and TRANSIT (2018).